It was beautiful outside this weekend. Unfortunately we did not get to enjoy it. Poor Boogie aka Arthur is sick. He had a fever all weekend and now is on the barf train. He is on anti-nausea medicine. Hopefully little brother won’t catch this stomach bug. 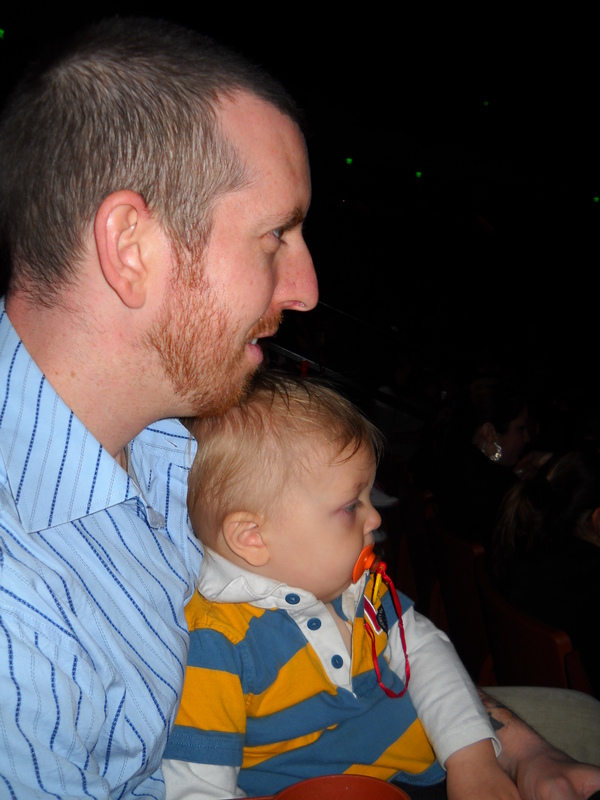 They had a blast at Sesame Street Live. I was a bit disappointed because there was no meet and greet. But the boys still loved it. 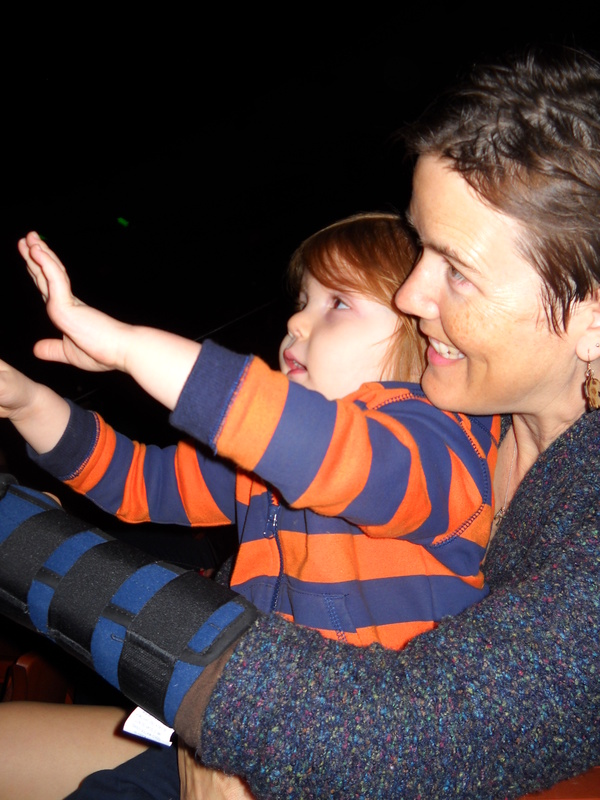 They both clapped their hands and shouted when Elmo came onto the stage. Food glorious food. Since we went to the show Friday night, I opted to make a quick meal. I made a pineapple fried quinoa. One of the co-op friend’s had made it in the past and it is delicious. You just sub tofu in place of eggs and veggie broth instead of chicken. 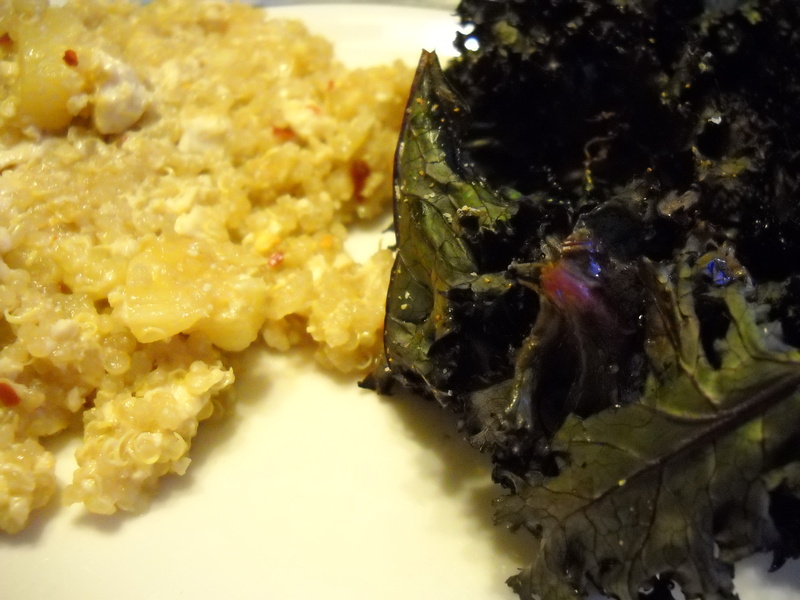 I also made some kale chips to accompany the quinoa. Such goodness. 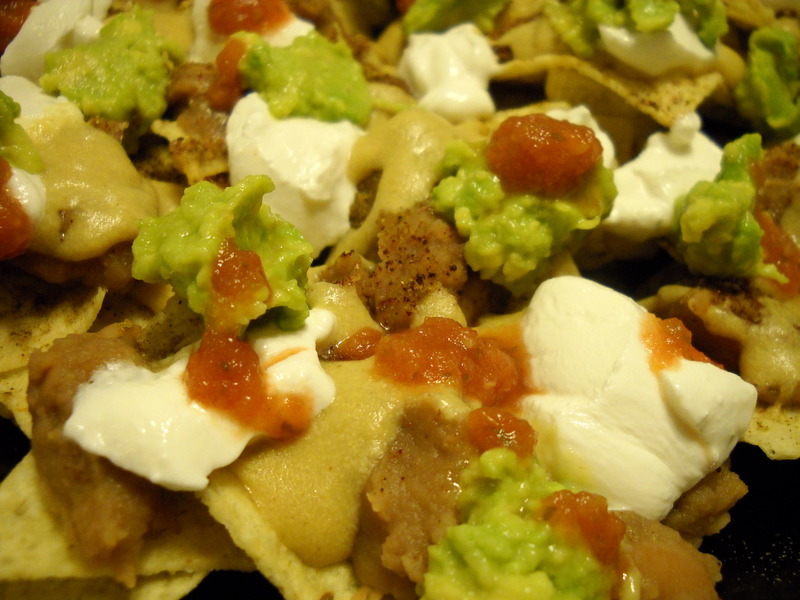 Saturday was a lazy day due to our sick Boogie, so I made nachos for us. Simple yet tasty and no shredded cheeze was needed. A nooch cheeze sauce with some guacamole, beans, salsa and faux sour cream made it complete. 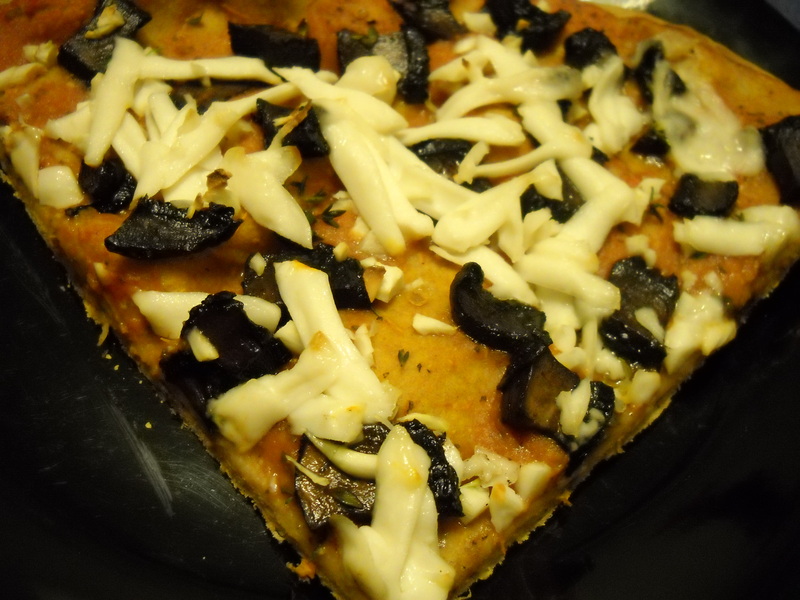 Sunday I made pizza. Cheeze pizza for Adam and a roasted poblano pizza with garlic and fresh thyme for me and Josh. Yum. 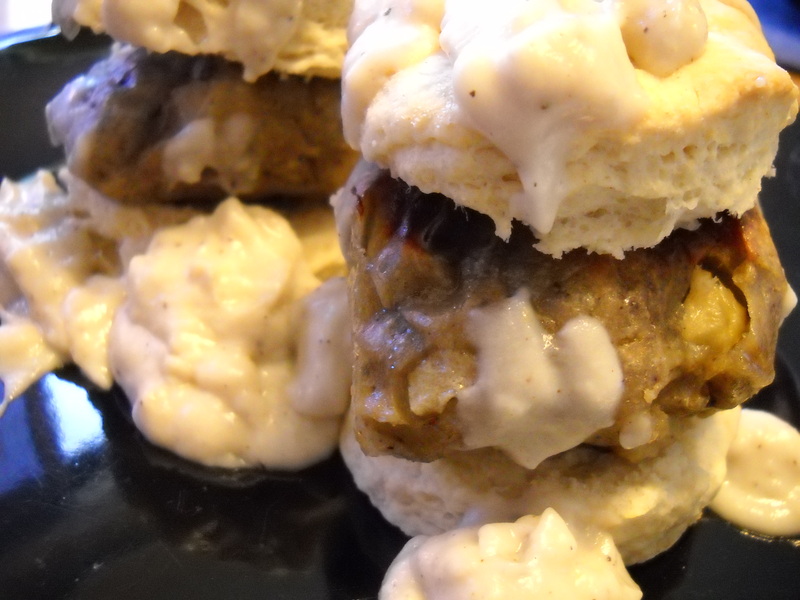 I also made biscuits with gravy and apple sage sausages for our Sunday morning breakfast. The picture isn’t the best, but the breakfast was. Here in the South we love gravy. Just ask Bianca of Vegan Crunk. I’d bet she would agree with me. And one of the best types of Southern breakfast is biscuits and gravy. Over the weekend I created three new recipes. Two are still in the works, which brings me to the question. Anyone want to be a “two vegan boys” recipe tester? If so, make a comment and I will put you on the super secret sassy sauce recipe tester mailing list. 🙂 I created a Avocado Salad Sandwich recipe this weekend. 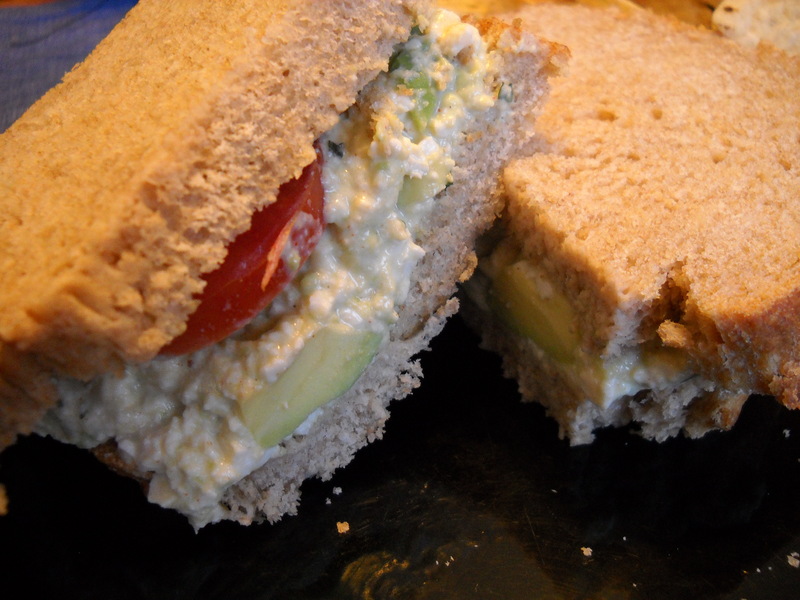 You’ve heard of chicken salad sandwich, tuna salad and even egg salad. Well, now we have avocado salad sandwiches. Josh loved it and I thought it was quite tasty too. The picture is crap. Ugh. In a mixing bowl, mash avocado and tofu together. Leaving some chunks. Stir in mayo and spices. Salt and pepper to taste. Serve on bread or toast with lettuce and tomato. Delicious. Like the rest of the world, the two vegan boys have a cooking page on Facebook. Join us there.